Put your tax return to work for you with a 11 Month CD (Certificate of Deposit). 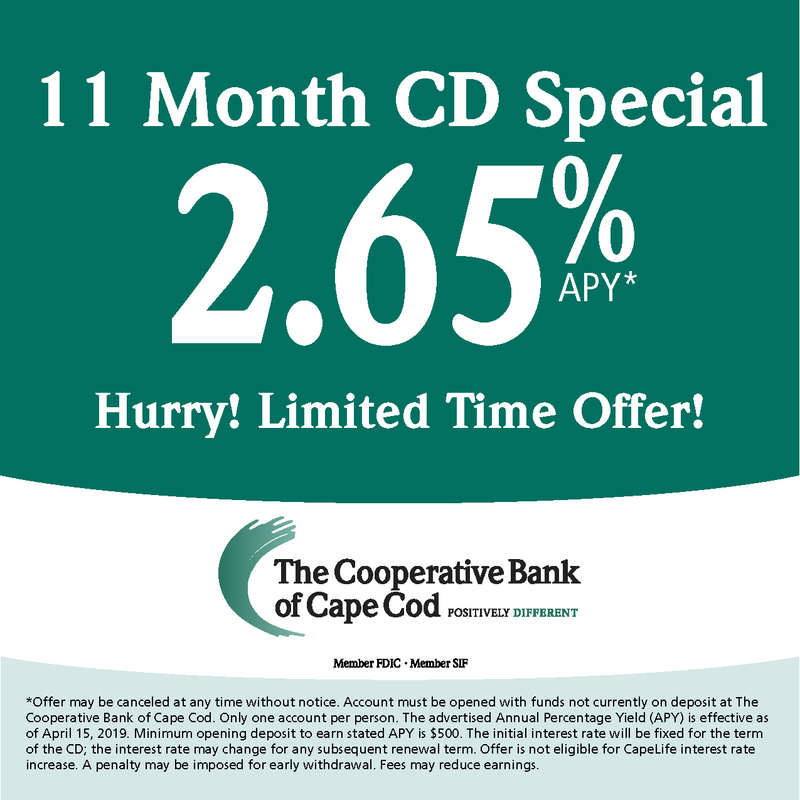 The Coop is offering a new 11 month CD Special with a 2.65% APY*. This offer will only last for a limited time so act now. Visit a branch near you to open an account. We have a variety of options. Give us a call if you don’t see what you’re looking for. We’d love to hear from you!.